SURPLUS HOUSING: Models of Collective Living in South America. 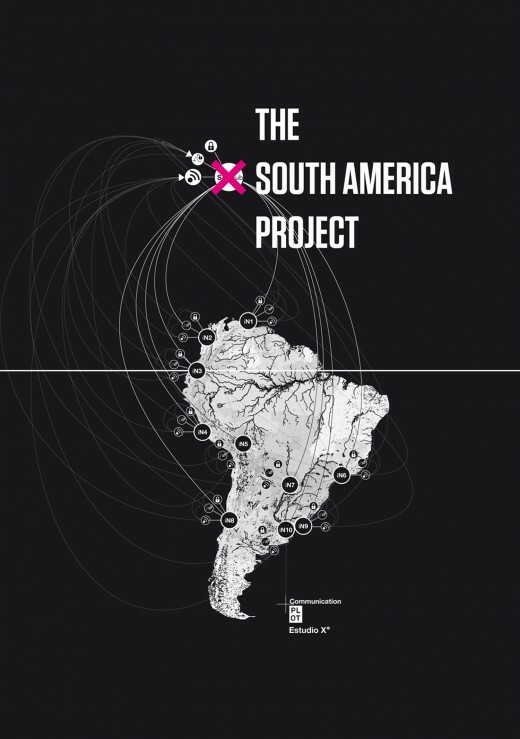 The South America Project (SAP) is a trans-continental applied research network that proactively endorses the role of design within rapidly transforming geographies of the South American continent. The project brings together a broad host of academic institutions, scholars and designers from diverse fields, building a trans-disciplinary platform for action in the South American regional integration movement. Through the lenses of architecture, landscape architecture and urbanism, SAP affiliates propose more comprehensive models of urbanization for South America. The South American hinterland is currently undergoing unprecedented spatial transformations, particularly through fast-paced modes of resource extraction and regional integration at a continental scale. Regional highways, energy grids, fluvial corridors, and telecommunications networks are reconstructing the South American landscape. Too often this reconstruction is narrowly defined by utilitarian resource extraction and the deployment of mono-functional infrastructure. SAP focuses on how a spatial synthesis best afforded by design can provide alternative physical and experiential identities to current modes of spatial transformation. SAP undertakes its research through diverse mechanisms, including design and research studios, research seminars, digital and analog publications, conferences, seminars, lectures, round table discussions and documentary films. The network´s output is shared with diverse constituencies involved in continental planning, in an attempt to allow design to partake in decision making processes and exert a positive impact in the South American territories. Launched by Felipe Correa and Ana María Durán Calisto, the SAP is supported by of the Department of Urban Planning and Design at the Harvard Graduate School of Design, the David Rockefeller Center for Latin American Studies and the Loeb Fellowship. Correa, Felipe. “Water and the Urban Project,” Globalized Water. Edited by Graciela Chneier-Madanes. New York: Springer, 2012. “SAP. Continuamos con nuestra cobertura de The South America Project (SAP): Hinterland Urbanisms, presentando información sobre todas las investigaciones que se estan llegando a cabo.” PLOT. 7, 2012. The Santo Domingo Endowment and the Lemann Endowment of the David Rockefeller Center for Latin American Studies at Harvard University, with additional support from the GSD Department of Urban Planning and Design and the Loeb Fellowship.